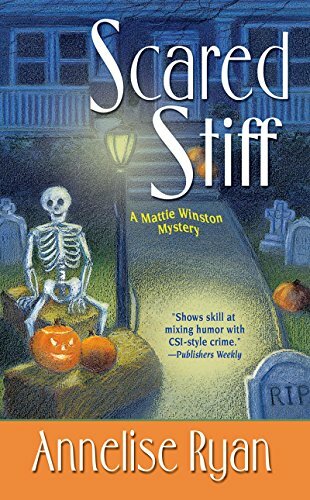 This is the second in the Mattie Winston mystery series. I started this series way out of order by reading a book much later in the series. I have now purchased all of the older books and am really enjoying them. The books all build off one another and reading them in order helps me to understand how the characters have grown over time. The plot was fun and the characters just what I expected. My only problem was that the solution to the whodunnit was unexpected and kind of dropped on the reader. That wasn’t an issue with the first book or the later books I have read. Perhaps this one suffered a bit of a second in a series malaise. It was still good and a necessary read to continue in the series. There were changes in relationships that were important as well as other parts of the story which continue after all of the books so far. In this book, Mattie is starting the understand her role at the ME office. She still has a propensity for unusual things to happen to her which are pretty much out of her control. The book was funny and a good read. Perhaps not my favorite but not every book in a series can be my favorite. I look forward to reading the next book in the series. This entry was posted in Mystery/Suspense/Thriller. Bookmark the permalink.